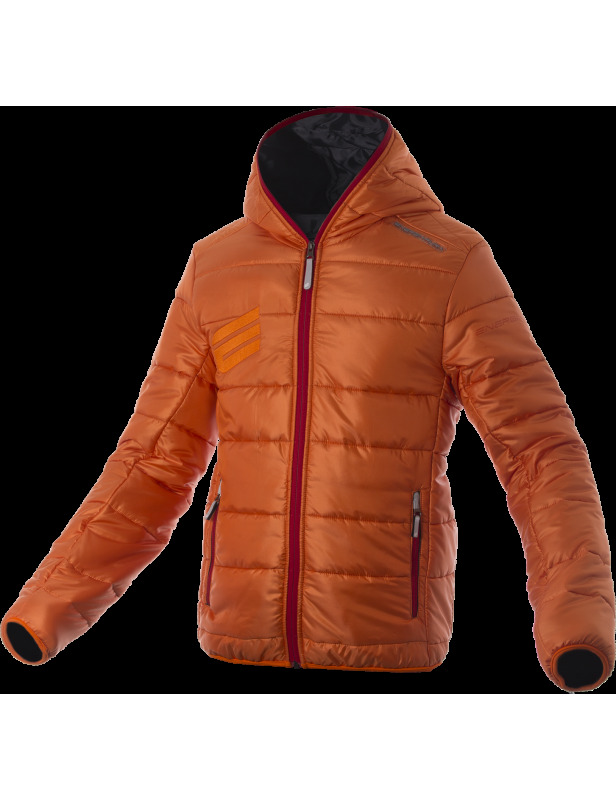 Light padded Jacket with hood, quilting of cm 7,5/10. Primaloft lining gr. 170/sqm, thermically efficient, breathable, waterproof, fast dry, antibacterial, soft to have the maximum comfort and compressable. Inside and outside microfyber fabric in nylon 20 denier: waterproof, breathable, calendered and windproof gr.38/sqm. 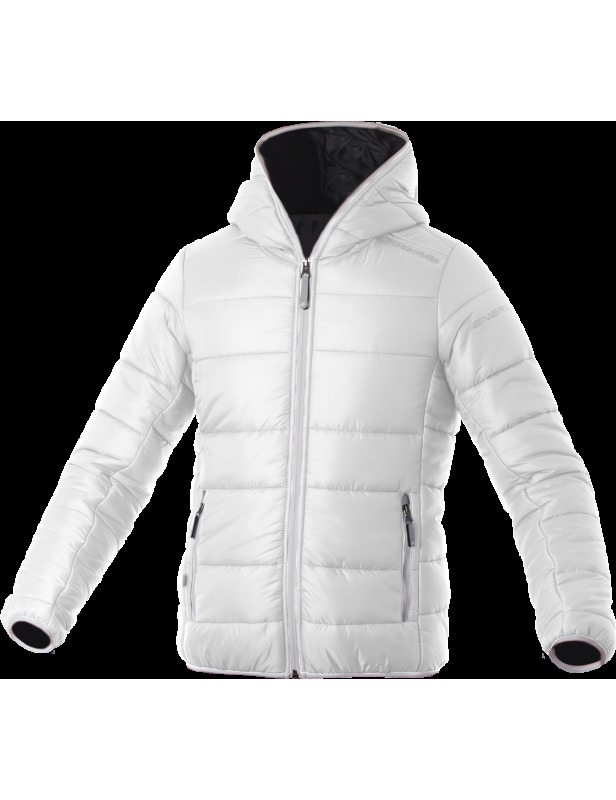 Slim fit, zip with reversed slider with total closure (hood included) and reflective puller, three frontal pockets, one inside pocket and another inside mesh pocket. Strech lycra hips. Sleeves end in lycra rimmed. Undersleeve lycra rimmed and lycra windproof cuff.